Step 1: Make breakfast into dessert (Rice Krispie Treats). Step 2: Turn dessert back into breakfast (pancakes). Recipe here. Never drink plain milk AGAIN. Instructions here. The filling is made with glorious peanut butter and Rice Krispie. Recipe here. Milk and cereal fizzy vodka designed by Justin Warner. Recipe here. What a great way to survive. Recipe here. This Milk Panna Cotta was inspired by Christina Tosi/David Chang from Momofuku. Recipe here. Replace corn flakes with Fruit Loops. You can grind Trix in a coffee maker to make "glitter." Instructions here. A tea party at the Flintstones'. Recipe here. You can also make Frosted Flakes Macarons and Fruit Loops Macarons. One of life's sweetest pleasures: the ability to choose ice cream for breakfast. Recipe here. White chocolate pudding with Irish Cream, and Lucky Charms. Recipe here. Dainty and sweet. Recipe here. Fro-yo bars aren't just for kids. Recipe and How-To video here. 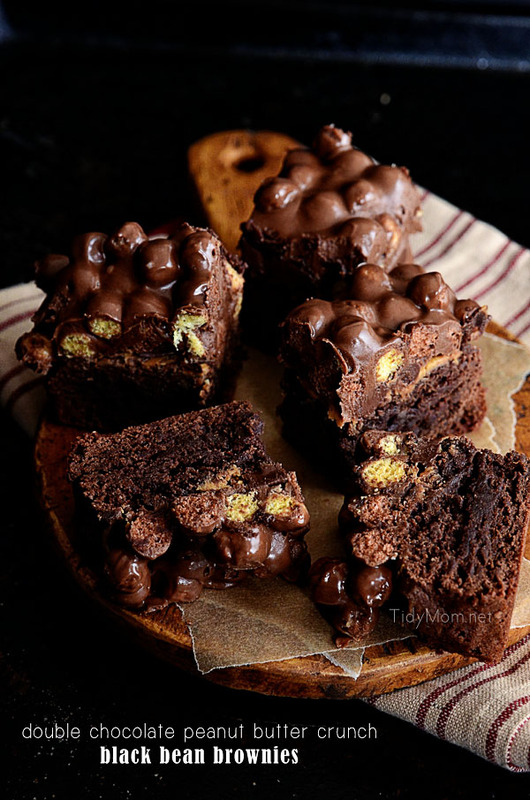 These high-protein brownies with Peanut Butter Puffs are both fudgy AND crunchy. Recipe here. Bring together melted marshmallows, some butter, and literally ANY cereal and you've got a treat. Recipe for the Corn Pop edition here. With the power of Fruit by the Foot "nori," Rice Krispie, and Swedish Fish you get THIS. Instructions here. If you're obsessed with tiny food, you just died and went to tiny food heaven—you can make white chocolate filled Cookie Crisp sandwiches. Recipe here. Mix crushed Cocoa Puffs with sugar and melted butter. Then press mixture into the bottom of a tart pan. Recipe for no-bake frozen mint tart here. Ooey, goey, crunchy, chocolatety, peanut buttery—it's everything. Recipe here.